Mamas, summer is here, and the kids are looking to get out of the house! Well, we have a double contest for you to entertain the wee ones up until eight years of age. 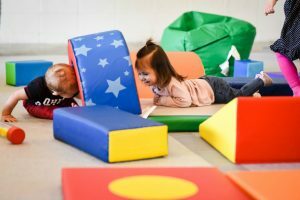 Great Play of Cherry Creek is giving away a 10-week summer class registration and Peak-a-Boo Play at Stanley Marketplace is giving away a free 10-pack punch card for their pop-up space! Enter now! 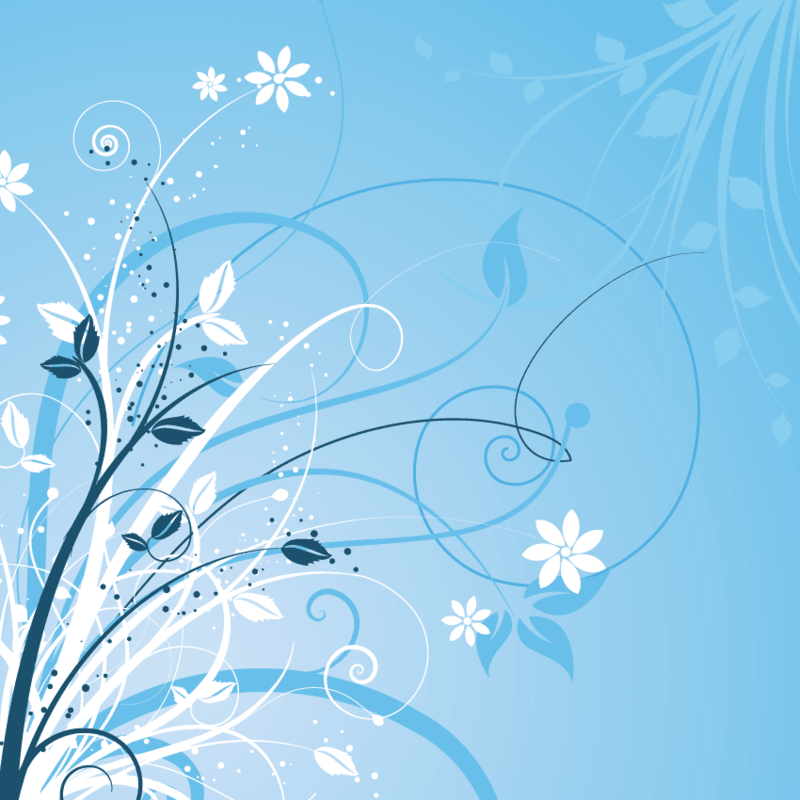 PRIZE: 10-Week Summer Class Registration – $197.50 value!!!! There’s an affordable indoor gym in Cherry Creek designed specifically for children eight years of age and under. There are scheduled classes for fine and gross motor skills starting as young six months of age. The 50-minute to one-hour long classes cover everything from climbing and jumping to core strengthening and motor skills. Great Play of Cherry Creek has been in business for 7 years. Current owner, Mark Roush, is thrilled to have taken over the company on May 1, 2017 and added his childhood friend, Thomas Pankey, to the company. Owners Mark and Tom are natives of Pueblo, Colorado, and know their Colorado game—literally! From football, basketball, skiing, soccer, lacrosse, ice hockey, figure skating, tennis and so much more, the duo has attempted every group sport and loves to bring their enthusiasm for athletic education to the younger ages. The convenient Colorado Boulevard location has current and upcoming schedules listed on their website. Drop-in classes are $22 or you can buy a package such as a 4-week session for $79, which includes one class per week for four weeks as well as unlimited access to open gyms. There is open-gym time throughout the week for $10 drop-in or it is free with any class package. There’s more. Visit the website to learn more about birthday parties, parents’ night out, special events and more. Great Play of Cherry Creek is heavily-involved in the local community and is always looking to host and partner with local business and non-profit for exciting events. Great Play of Cherry Creek is located at 760 South Colorado Blvd., Unit L, Glendale, CO. 303-955-0287; greatplay.com/cherrycreek. PRIZE: 10-PACK PUNCH CARD WORTH $100 value plus coupons! Stanley Marketplace was missing something, and Nicole Levine knew just the answer—Peak-a-Boo Play—a pop-up play space for kiddos aged three years and under. SAY WHAT? Nicole, mama to two young, and very energetic boys, took her entrepreneurial spirit and knowledge of the baby / toddler / child game from Chicago and brought it to Denver / Aurora’s greatest new urban space for families. 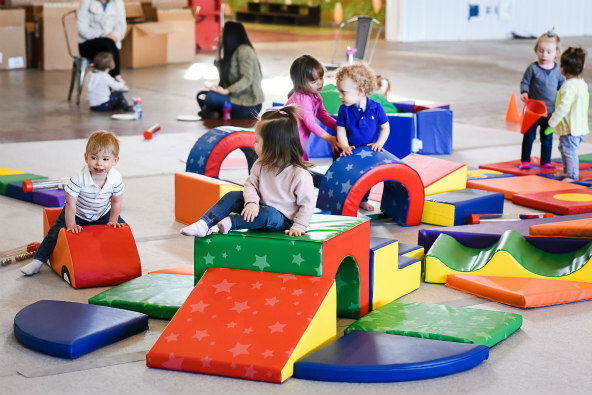 Setting up shop at The Hangar at Stanley Marketplace, Peak-A-Boo Play is a clean, safe pop-up experience offering drop-in open play. 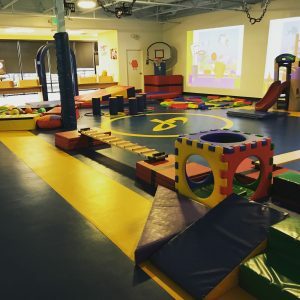 Caretakers must be present and will have opportunities to socialize, grab coffee and take a breather while their kids explore over 500 square feet of mats, plush tumbling gear, toys, bubbles, music and more. And, of course, pre/post-play shopping and eating at Stanley can never disappoint. Admission is $10 per child with sibling discounts available. Hours of operation will be Monday and Thursday mornings, 9am – noon, however, the schedule is subject to change/expand and will be regularly posted to website and social channels. Stay tuned for story time, music classes and toddler approved snack sampling throughout the summer! Oh, and receive a punch card and get incredible discounts around Stanley including a free bagel and cream cheese from Rosenberg’s Bagels with purchase, 20% off at Steele Angel, 15% off at June Ruby and Sterre and 10% off kids’ items at Goose and Goat. Peak-a-Boo Play is located in the hanger at the Stanley Marketplace, 2501 N. Dallas Street, Aurora, CO; peakabooplay.com. Win a 10-week summer class registration at Great Play Cherry Creek or a 10-pack punch card at Peak a Boo Play! Please note which contest you are entering (or both). You may enter as many as five times for each.